Meet Justin Pace: Your Dedicated Realtor! Justin has experience in many diverse areas of the real estate market from residential homes and commercial sales to investment properties and leasing. He’s motivated and excited about assisting his clients in finding their dream home or getting his sellers top dollar when it’s time to put a property on the market. He has a heartfelt drive to serve his clients best interest which is evident in his dedication, knowledge, and commitment in finding the perfect fit whether apartment, home or investment property. 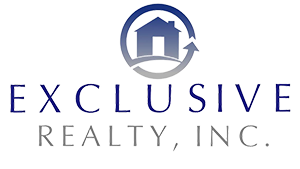 Originally from Houston TX, Justin build a reputation flipping residential property’s using his savvy business acumen and love of design. He a has a background working as a design consultant at Cantoni, a high-end contemporary retailer/designer service, with a long list of a satisfied clients in the greater Houston area. It was there that he learned the art of listening as he brought the wants and desires of his clients to life throughout the entire home. Looking to take the buyers experience in finding their dream home to the next level, he got his real estate license. Justin also holds a B.B.A. in marketing, with a proven track record of success that has given him the aptitude to reach the masses for his sellers listing. As well as being a notary public, an official of integrity appointed by the State of California, Justin has the knowledge and patience to explain the legal side of the home buying process to first-time buyers. Passionate to his craft, he continuously seeks to stay ahead of the game when it comes to market education, the latest technology and trends. 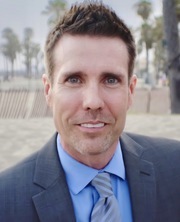 As a member of California Coastal Real Estate, he looks forward to assisting all his clients to achieve their real estate goals, whatever they may be. “Success keeps me grounded to stay hard working, humble, kind, and always do the right thing to deliver service with excellence”. Justin believes in giving back to his community in his free time. His passion is the Boys and Girls club where he volunteers and enjoys spending time with underprivileged youth since, he doesn’t have any children. He believes that everybody no matter what their background deserves the same opportunities and joys in life. When Justin has free time he loves to paint, cook, play drums/piano, and keep up with current events. Contact Justin today for all your real estate needs!